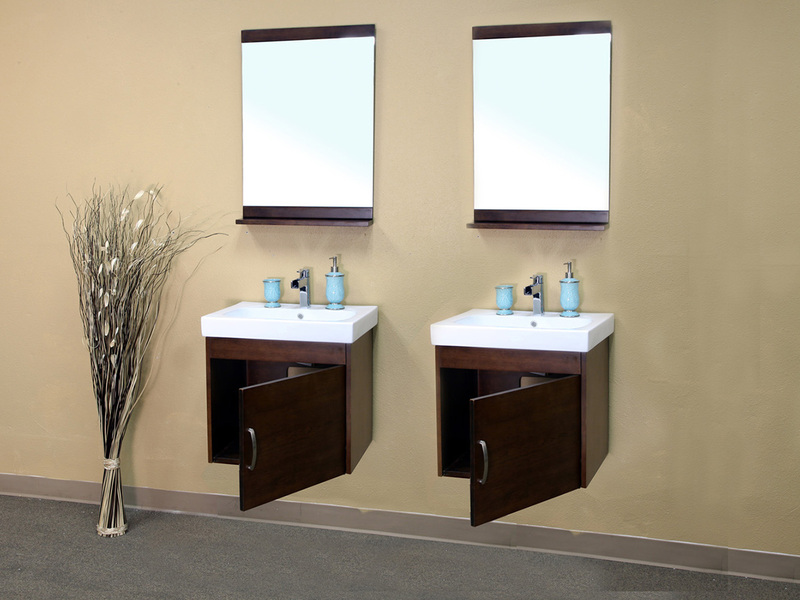 The Cerrillos Double Vanity has the simple modern design and warm walnut finish that makes it work great with almost any style of bathroom. 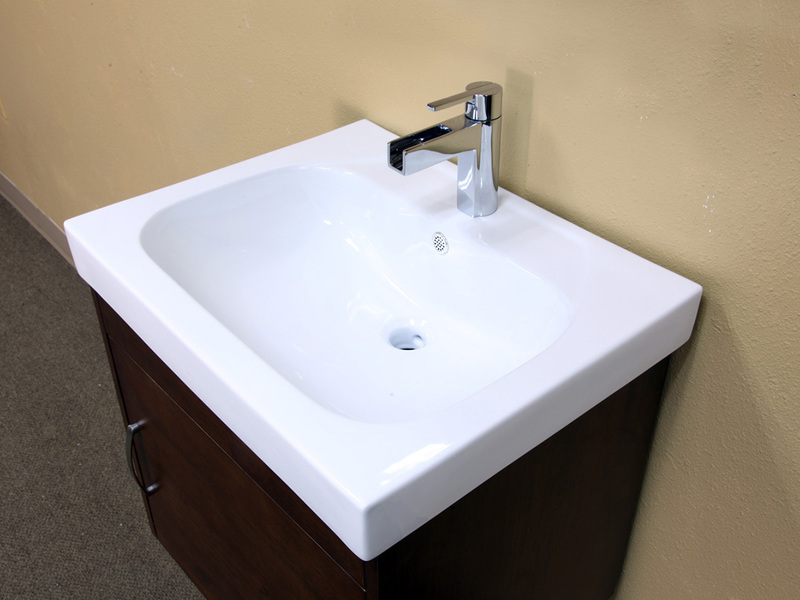 its wall mounted design makes it easy to place these vanities where your plumbing is located. 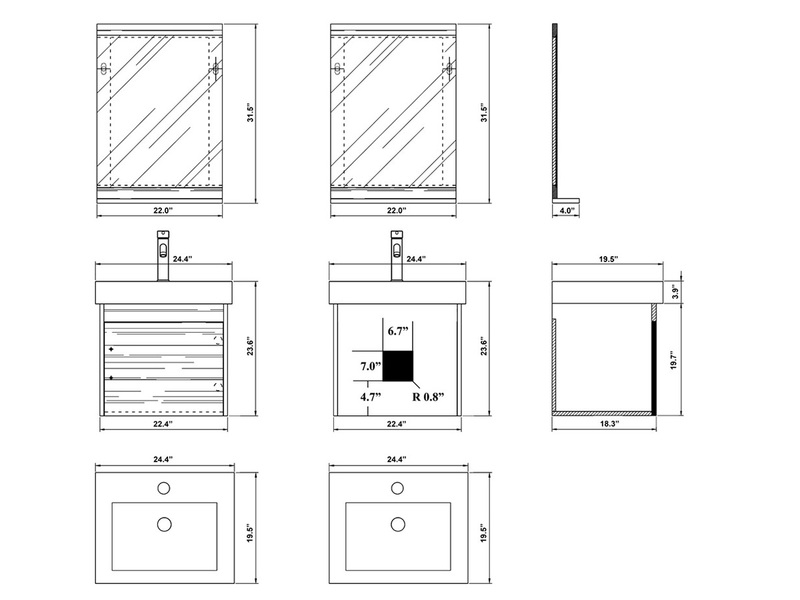 Each vanity has a cabinet for conveniently storing bathroom supplies and accessories, and each cabinet door features soft closing hinges for smooth door motion. 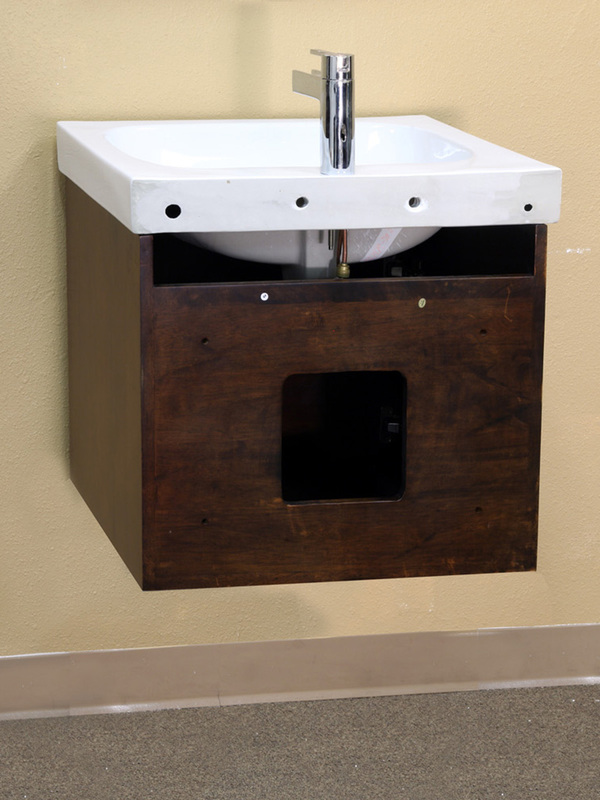 The vanities are constructed from solid birch wood, and their walnut finish is water proof against humidity. 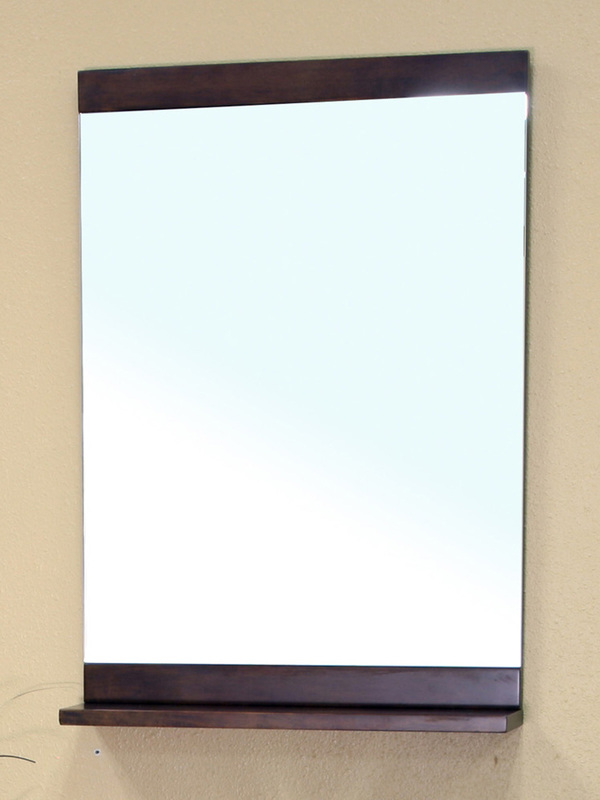 A matching mirror is also available with this set through the drop down menu, giving you a complete modern bathroom look. 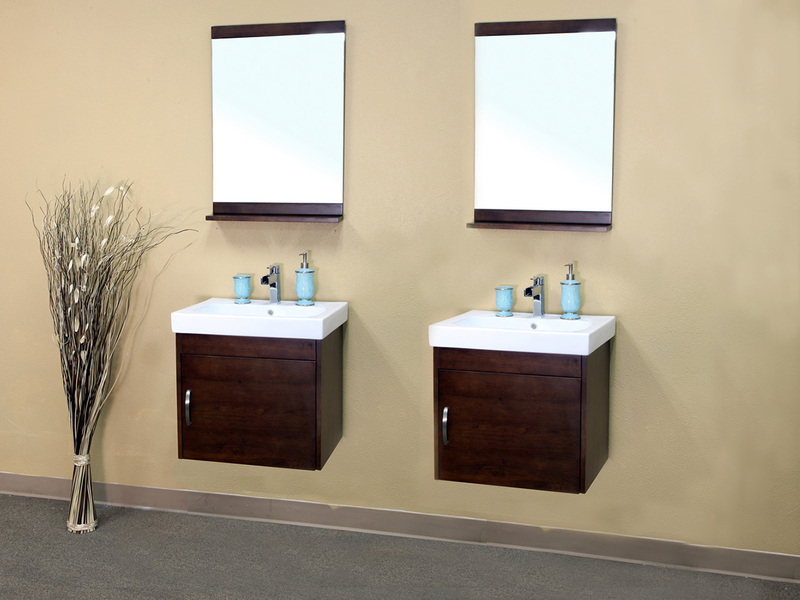 With its great style and quality construction, this double vanity is hard to beat.